Situted in South 24 Parganas, far from the madding crowd and pollution, yet easily accessible to the city centre, Kalajyoti is a home where students of all ages live and learn their dream subjects with joy. Training in chosen art forms are provided by experienced and dedicated Gurus. Till today Kalajyoti proudly hosted more than 60 students from all over the world. Single or Group both can apply. At the end of the workshop students are presented with a certificate of participation from Kalajyoti. 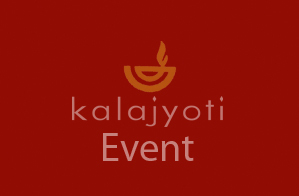 For the Foreign art seekers Kalajyoti provides a "total harmonical cultural experience". The intensive residential workshop, held every year is being organized since the year 2003. Amidst the Gurukul ambience harmonious with nature, Kalajyoti offers training in various artistic streams like Dance (Kathak/Odissi/Bharatnatyam/Folk), Music(Vocal/instrumental),Mardala, Tabla, Yoga, Bengali, Hindi and Sanskrit Language, Vedic Chants, Painting. Besides,Audio – Visual shows are organized for concepts in ayurveda, Indian theatre, literature, music, arts traditions, history and other rare recordings on eminent artists and their creations for better understanding of arts. The workshop provides a planned and nutritious diet and aims at exposing the seeker to the value based integrated education of the Gurukul tradition, developing love and respect for the Indian values and Traditional Art forms. Short trip to places of sculptural, spiritual and mythological importance are organized – to get an in-depth feeling and knowledge of the rich Indian Art Forms. Course includes - Relaxation of mind and soul, body fitness and flexibility, healing massage. Accomodation -Comfortable , clean accommodation on room sharing basis are provided with Western Toilet system/ hot and cold water for shower. Mineral water,hot beverages, vegetarian and non- vegetarian Indian/ Western breakfast, and meals are served by trained house keeper. Assistance in domestic train or ticket booking, pick up and airport drop are arranged. Kalajyoti has a reduced fee for group 4 or more. Kalajyoti believes in a positive blend of ancient with modern technique of teaching. There should be no barrier of distance between an ardent lover of any art form who has intense passion to learn a particular art form. Hence Guru Monalisa Ghosh and Pandit Subhankar Chatterjee imparts successful and effective online classes via Skype to the eager talented learners of all age group. Please contact via e mail for details.